Foods That Fight Depression - Something New Everyday! Feelings of sadness and depression can creep in out of nowhere. One day you may wake up feeling like a different person than you did the day before. It’s hard to make it through the day, everything seems negative, you feel like a huge weight is on your shoulders, you feel uneasy, anxious, and hopeless – often for no obvious reason. 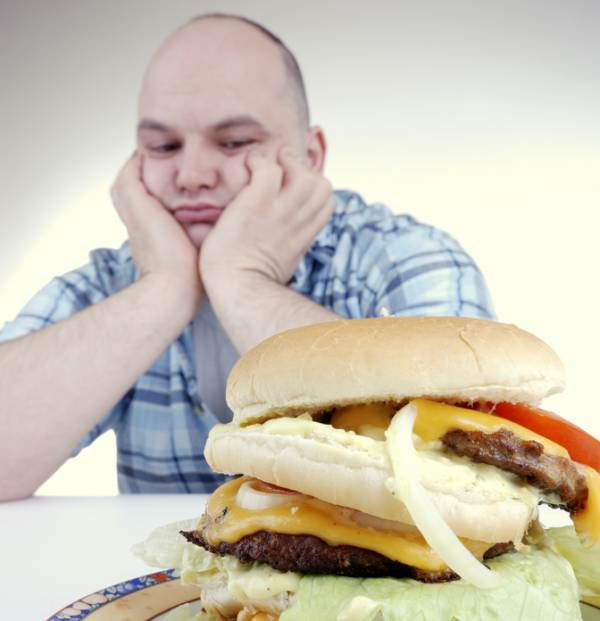 Most of the time people tend to go one of two ways when it comes to eating when they’re depressed: overeating junk food for comfort, or avoiding food altogether. While neither of these tactics will truly relieve depression, there are some foods out there that can fight the depressive feelings and help bring you back to a state of peace. First of all, to decipher which foods can come to the rescue, we must know – what is depression, chemically speaking? Well, according to Psych Central, “monoamines” are low in the brain during depressive episodes. Monoamines are mood-related chemicals like serotonin, norepinephrine and dopamine. So if you’re feeling depressed and you do, in fact, have an appetite, it would make sense to eat foods that can increase the above mentioned chemicals in your brain. Flaxseeds/Flaxseed oil - contains tryptophan and omega-3 fatty acids, which increases serotonin production. Put some ground up flaxseeds in your salad or oatmeal. You can also take flaxseed oil capsules. Fish oils, salmon, tuna - high in omega-3s, both fish oil capsules and fish like salmon or tuna can increase your serotonin levels and lower anxiety levels. Sushi, anyone? Bananas - high in tryptophan for serotonin production. Eat ‘em up. Raw Cacao - we all know that chocolate can be a mood-lifter, but the sugar crash that comes with conventional chocolate can have the opposite effect on your mood. Eating raw chocolate (dairy-free, sweetened with agave nectar instead of sugar) is a much better choice. Check your local health food store, or try my all-time favorite brand, Fine and Raw. Watermelon: high in vitamin B6, which helps manufacture serotonin and dopamine in the brain. Choose watermelon over your regular dessert, or drink a tall glass of 100% watermelon juice. Yum! Protein-rich foods like beans, eggs, and tofu - contains tryosine, which increases norepinephrine and contributes to positive mood. Sunflower seeds – high in folic acid, a building block of serotonin and norepinephrine. Spinach - another one for folic acid, omega-3s, and B vitamins. Fix yourself a big spinach salad or substitute spinach for whatever lettuce you use in sandwiches. Brown rice - Vitamins B1, B3 and folic acid. Brown rice is also a low-glycemic food that release glucose into the bloodstream gradually. A smarter, mood-lifting alternative to refined, white carbs. Sweet Potatoes - help tryptophan go to work producing serotonin in the body by raising insulin levels. Sweet potatoes are a great alternative to white potatoes because they have a lower glycemic index, which means they don’t cause a spike in blood sugar or the accompanying mood swings. Quite the appetizing list! While depression is complicated and often mulit-faceted, these tasty additions to your diet may help to elevate the dark moods. Eat up and smile.